Kapoor's Akbar Indian Restaurant has opened its doors in downtown LA after relocating from Pasadena. Located at 701 W. Cesar Estrada Chavez Ave., the new spot is on the edge of Chinatown. 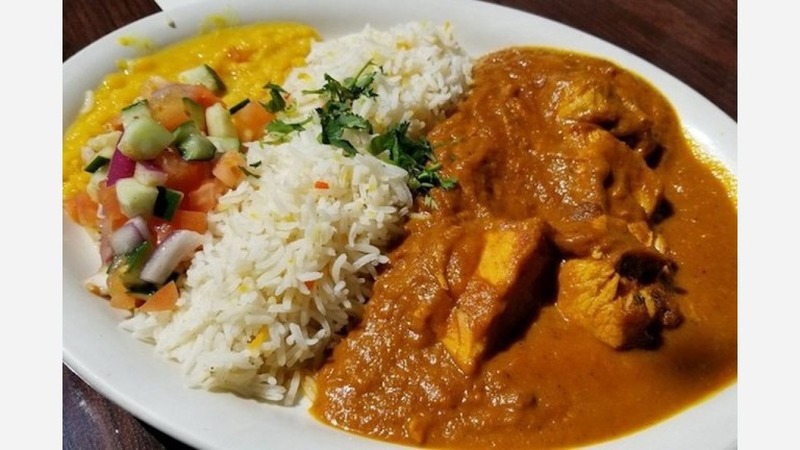 The highly rated Kapoor's Akbar has received plenty of praise over the years, being named "Best Indian Restaurant" for 20 years in a row and one of Trip Advisor's top-10 Indian restaurants in Los Angeles, per a news release. Owner Avinash Kapoor is excited about the possibilities offered at the new spot. "As a chef, I have a signature menu," he said. "We are bringing many of our crowd-pleasing classics to the area, but I have created a few new dishes that I feel will be very popular in our downtown location." Craving bread? Kapoor's Akbar features a variety of naan (plain, garlic, green herb and stuffed with dry fruits) and paratha, a whole wheat unleavened bread. With a four-star rating out of five reviews on Yelp so far, the new addition has been warmly received by patrons. Yenny D., who was among the first Yelpers to review the new spot on March 23rd, said, "Super friendly and great! Their menu has the classics as well as some fusion-y options and are all pretty reasonably priced. Our server had good recommendations and refilled our water often enough so we were never thirsty." And Lee F. said, "The place is cozy and the food is great. On most dishes you can choose your heat level and that is very considerate to patrons with sensitive stomachs. A great place for Indian cuisine in the downtown/Echo Park area. The restaurant offers free parking in the back." Swing on by to take a peek for yourself: Kapoor's Akbar Indian Restaurant is open daily from 5:30pm-10pm.